The hit pattern of the season! 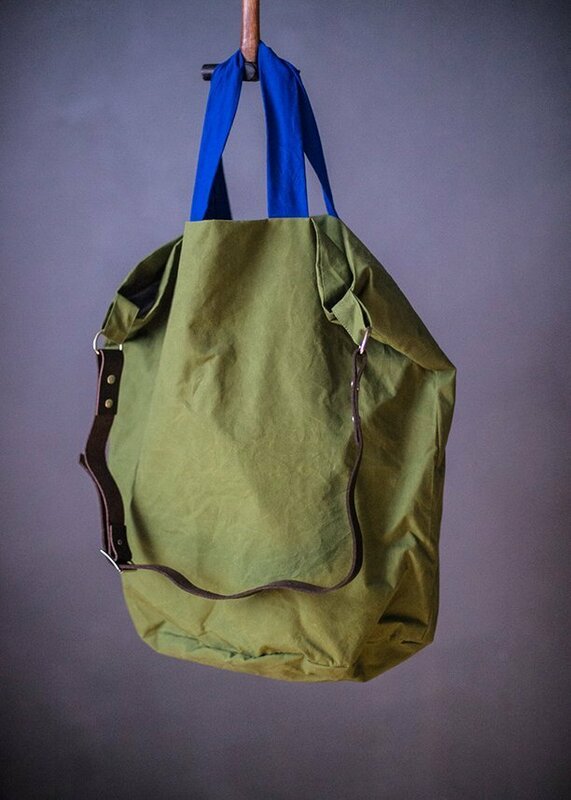 This bag is so simple to make but looks mighty impressive in the right cloth. A copious bucket bag it has space for an almost infinite amount of stuff. Make it in traditional British oilskin, sturdy canvas, cotton drill or denim. Fully lined with 3 divided internal pockets. It is the most useful of bags. We have made it here in our Grass Dry Oilskin with the Grey Duck Canvas lining, which gives it good solid body. We have since made it in our expedition oilskin, a luggage weight fabric, which makes for a very sturdy Jack Tar. We have just made up a limited run of Jack Tar kits in Grey Dry Oilskin and Khaki Dry Oilskin. Pattern Only | Hardware Kit in Nickel | Hardware Kit in Brass | Jack Tar Full Kit in Yellow | Jack Tar Full Kit in Grey | Jack Tar Full Kit in Khaki. The Jack Tar in the main picture is made from Grass Dry Oilskin, with a Royal handle. 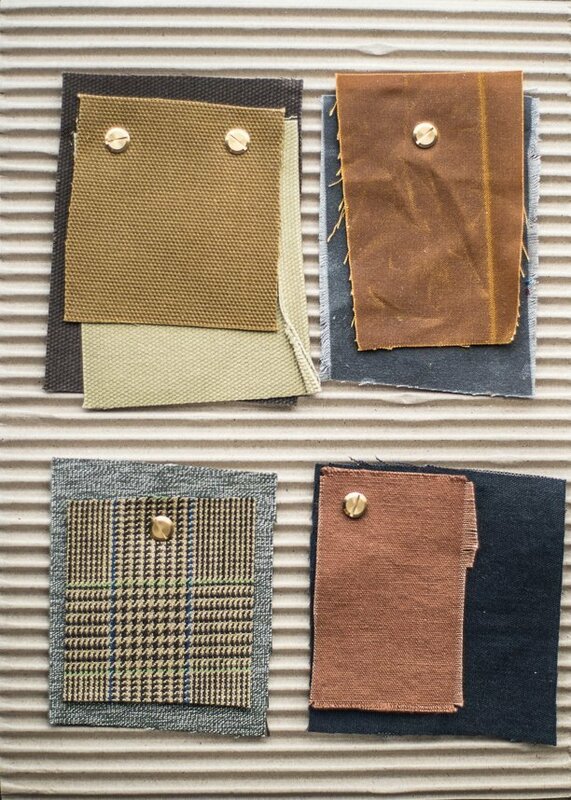 Expedition Oilskin, Gold and Grey Oilskin, Nettle Dry Oilskin and Country Bonded Linen, Desert Town.